Riverside Minor Hockey in Windsor, Ontario The objectives of the organization shall be to promote, govern and improve minor hockey for the youth of the City of Windsor, including residents in the area formerly known as the Town of Riverside and the Township of Sandwich East, and/or other areas assigned by the Ontario Minor Hockey Association, as a member of the Ontario Minor Hockey Association. Dundas Minor Hockey Association - The Dundas Minor Hockey Association promotes, governs, and improves organized minor hockey in the Town of Dundas. Over 50 years of tradition. Cape Cod Women's Hockey League - The Cape Cod Women's Hockey League provides an environment in which any woman, regardless of ability, can enjoy playing ice hockey. Grand Valley & District Minor Hockey - "Leading the way in teaching respect and responsibility"
Hockey Made Easy is receptive to reciprocal link requests from Minor Youth Hockey Associations from around the world .... Just click here to make that request. 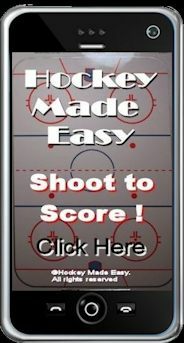 My Hockey Rankings - listing all Minor and Youth Hockey Associations. BrockNews - "Your Local On-line TV News & More! Serving Brockville, & Leeds - Grenville "
Habanero Peppers - Habanero Peppers for Really Really Hot Chili !